James McInroy’s father, Patrick, came to Douglas County with his brother, Henry in 1871. James’ father and uncle were in the cattle business. James followed suit making his home in Larkspur and naming his ranch MacHurst, his ancestry being Scottish. He and wife, Effie, raised six children, bred Percheron stallions, and raised cattle. It was said that the McInroy home was a beautiful white house set in a majestic setting of the Perry Park area. Mr. McInroy was also involved in the county as Assessor, Chairman of the Democratic County Central Committee and chairman of the State Dairy of Colorado. Although, for each United States Census that James filled out he listed himself as a farmer. It was in 1922, when James was about 46 years old, that the McInroy’s sold their Larkspur home and moved to Denver. Mr. McInroy had gone into the insurance business and was working for Farmers’ Life Insurance Company. MacHurst was purchased by a Mr. and Mrs. Grant of Kansas. In 1925 a reporter from the newspaper, Record- Journal visited the Grant property, now called the Diamond G ranch. The reporter wrote that the ranch had been improved with electrical lighting, including gateposts beside the driveway to the house. There is a beautiful lawn tastefully decorated with trees and shrubbery. The barns and lots are kept scrupulously clean. Machinery has a place in sheds, no unsightly dump piles mar the beauty of the grounds. 1926 saw E. C. Van Diest purchasing the B. M. Grant property. B. M. Grant and wife, Mary, moved to Denver residing at 1015 Logan Street. 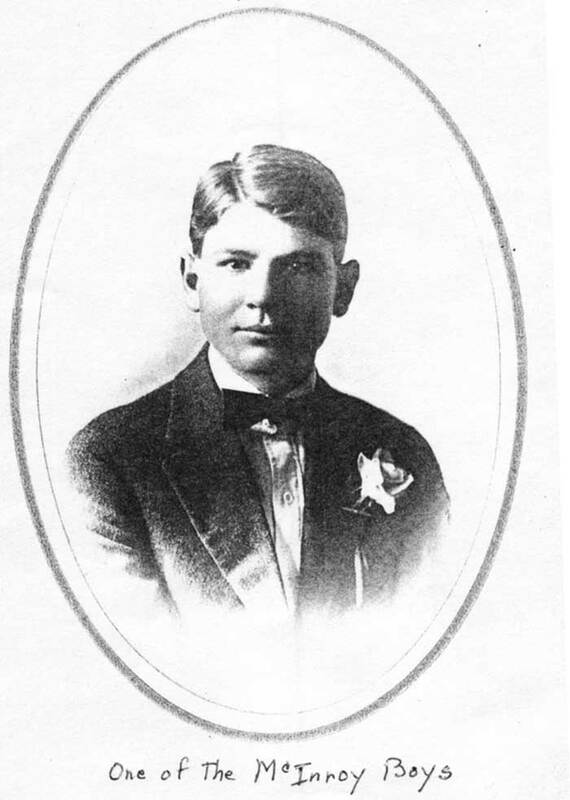 B. M. resided in Denver until his death in 1927 from a surgery for appendicitis and gallstones. E. C. Van Diest was from Colorado Springs and also purchased the Jerry Noe ranch which adjoined his property on the south. Thanks to the Colorado Historic Newspaper Collection; Larkspur, Greenland and Perry Park Area, by Clara McClure Turner; Further Memoir of West Plum Creek by J.P. Curtis; and the U.S. Federal Census.